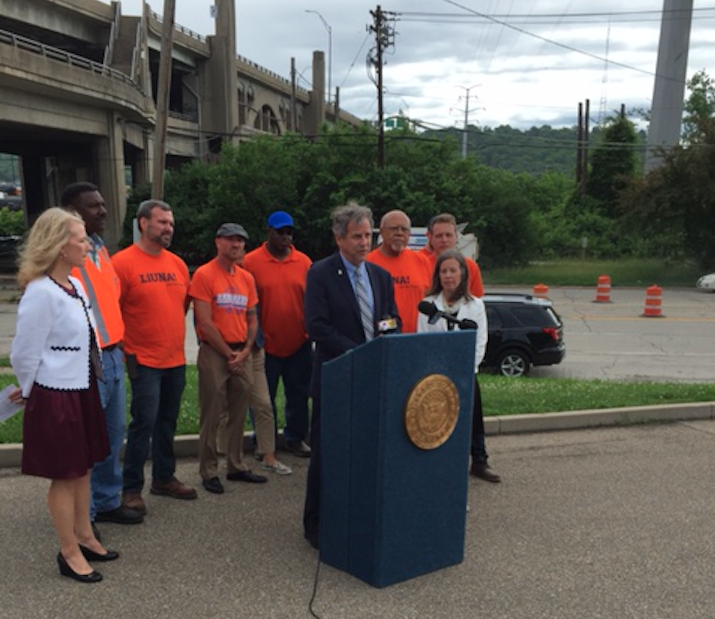 Ohio Democratic Senator Sherrod Brown speaks to reporters outside the Western Hills Viaduct Tuesday. 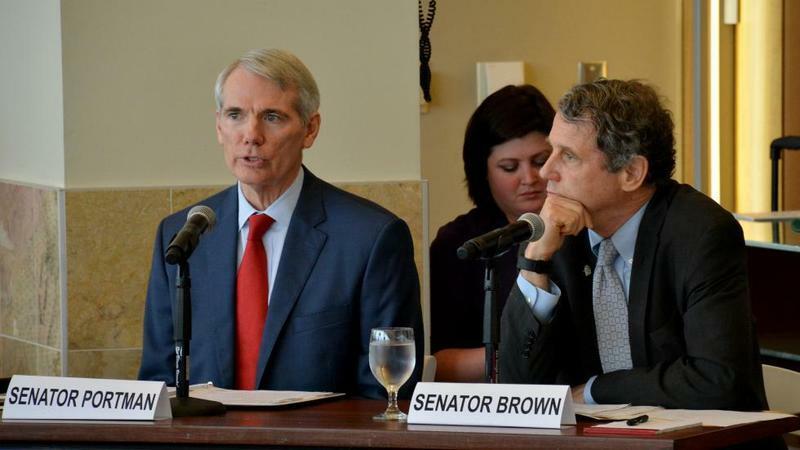 "I've asked the White House to pass my Korean sanctions bill,'' Brown told WVXU. "It's the Otto Warmbier bill, named after the young man from Cincinnati who was murdered by the North Korean government. I think those sanctions should give the president leverage." Among the sanctions in the bill was a provision that would put restrictions on nations doing business with North Korea. Nations could do business with North Korea or the U.S., but not both. Brown said he doesn't know why Trump agreed to the meeting with Kim Jong Un, then canceled it, and now appears to be receptive to holding the meeting. "I don't know if his on-again, off-again is part of a negotiating strategy or if it is one advisor, (National Security Advisor) John Bolton, who wants to be more aggressive to the point of perhaps going to war, or another advisor who is telling the president to be more cautious,'' Brown said. Brown made his comments to WVXU this morning after a press conference underneath the west end of the Western Hills Viaduct. He was joined at the crumbling 86-year-old bridge by political, labor and business leaders to tout his Bridge Investment Act. Brown says it calls for significant investments in bridge repair projects, including the Viaduct. The Viaduct is estimated to cost about $300 million to repair. Brown's bill does not contain money for the repair, but he is hoping that Congress will appropriate at least $75 billion for bridge and infrastructure repair. Of the more than 27,000 bridges in Ohio, approximately 1,650 are classified as "structurally deficient" and 4,700 are classified as "functionally obsolete." As for the Western Hills Viaduct, Brown said it is 86 years old and hasn't had a major rehab since Jimmy Carter was president in the late 1970s. "It's not imminent that it's dangerous, but making stop-gap repairs doesn't fix the long-term problem,'' Brown said. 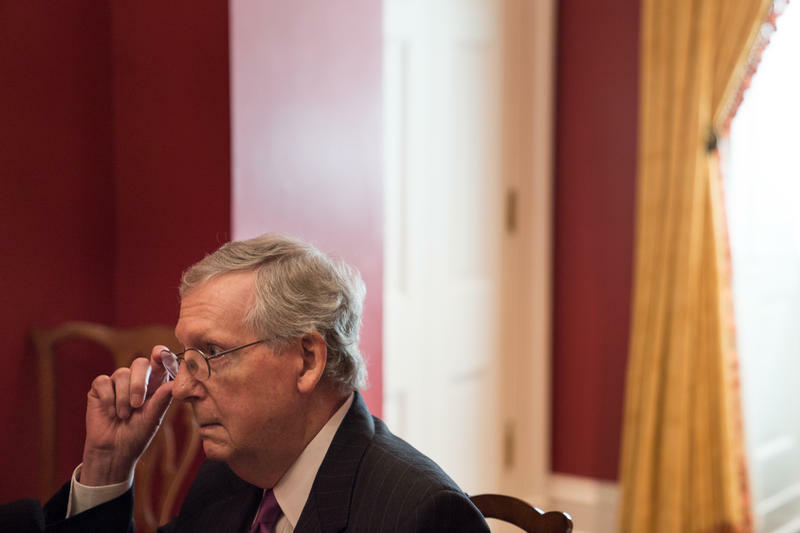 Senate Majority Leader Mitch McConnell, R-Ky., told NPR in an interview that he continues to support the Mueller Russia investigation — and that nothing in Thursday's hotly anticipated secret briefing on the Russia probe to congressional leaders changed his mind. President Trump’s nominee for CIA Director, Gina Haspel, answered questions from the Senate Intelligence Committee today. 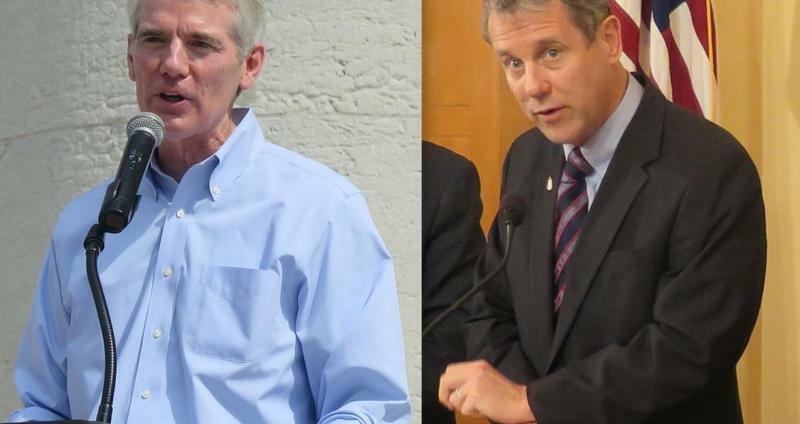 Ohio's Senators are taking opposite sides after Pres. Donald Trump announced Tuesday he would back out of an agreement meant to prevent Iran from obtaining nuclear weapons. After the announcement, Republican Senator Rob Portman said he supports President Trump’s decision to back out of the Iran nuclear deal. Portman said he didn’t think the initial deal—negotiated under the Obama administration—went far enough to restrict Iran’s ballistic missile program and support for terrorist organizations.